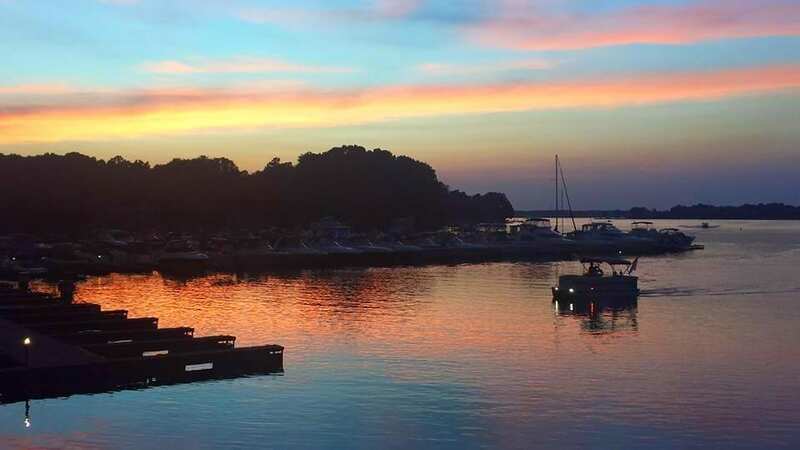 Lake Norman is a friendly and warm community. There is always something to do. If you love the water then you have found the right place! If you are a fishing enthusiast, bass to striper to catfish are biting and ready. Lake Norman hosts numerous prominent fishing tournaments, including BASS and FLW Tour yearly. Or, if fishing isn’t your thing you can go paddle boarding, jet skiing, kayaking, relax and sunbathe at Mecklenburg Counties’ only beach or take your boat out for a lovely cruise. Lake Norman has a bounty of Parks with beautiful walking and biking trails including Jetton Park in Cornelius. It has 104 acres a small beach, a 1.3 bike trail and a 1.5 walking trail along the lake. Hence, the perfect place to spend the day. The area has a plethora of diverse restaurants. Therefore, whatever your food preference you are sure to find it. Also, many have outdoor seating and some that are Lakeside. Within 20 minutes from the Cornelius-Huntersville area you will be in Uptown Charlotte. Take in a Panthers game at Bank of America Stadium, go to the NASCAR Hall of Fame, see a play or a concert, take the kids to Imaginon or have a world-class meal at one of the finest restaurants around. So much to do and see in the Queen City. Davidson is a quaint town also on Lake Norman. Take a leisurely stroll down the main street and stop at the old fashioned Soda Shop for an ice cream. Maybe you can catch one of the many outdoor festivals and concerts on the “Green”. And, don’t forget to check out Davidson College. This private liberal arts college was founded in 1837 and has an amazing campus. Our Home Town Hero, Stephen Curry, graduated from Davidson College and played for the Davidson Wildcats. Go Wildcats! If you are a NASCAR lover, Charlotte Motor Speedway in Concord is just 20 miles away. Come and see some of North Carolina’s finest racing teams such as Joe Gibbs Racing and Roush Fenway Racing to name a few. If racing isn’t your thing and shopping is, then go to Concord Mills, North Carolina’s largest outlet mall. So much to do and eat. And, The Bass Pro Shop is really quite impressive, worth a visit. Additionally, there is so much history in the Lake Norman area. In Huntersville going to visit the Latta Plantation is an amazing journey back to the 1800’s plantation life. A little further up the road is Rural Hill, a Colonial-era farm. Cornelius is a small town located along 54 miles of shoreline on Lake Norman. Founded in 1893, originally called “Liverpool”, but was changed to Cornelius to honor Joseph Benjamin Cornelius, a man who supplied money to open the towns cotton mill. This small town packs a punch with a variety of activities available for everyone. Play a round of golf, jet ski, hike and have a fabulous meal all in the same day if you are up to it! For boating and jet skiing Ramsey Creek Park in Cornelius or Blythe Landing Park in Huntersville are the go-to public launch ramps. Charlotte Douglas International Airport is less than 25 miles from Cornelius. Which, makes it convenient to pick up visitors or to travel. Concord Regional Airport which is about 20 miles away, has recently begun operation and is offering limited flights. Another great thing about Cornelius is it’s a very pet-friendly city. Additionally, a great off-leash dog park located at Ramsey Creek Park. Also, there are a multitude of other parks that have great trails to exercise your dogs. If you are a golfer, you are in the right place. Cornelius is conveniently located in a golfer’s paradise. There is the Peninsula Club, Birkdale Golf Club in Huntersville, River Run Golf Club in Davidson, Cowans Ford and Verdict Ridge Golf Clubs in Denver, and Trump National Golf Club in Mooresville, to name a few. And, if you are not that serious about your golf game or just young at heart, Lake Norman Mini Golf is a great way to spend a carefree afternoon and then relax with one of their refreshing Lake Norman Snowballs. Southpark Mall in Charlotte, well known for its upscale stores such as Tiffany’s, St. Johns, Neiman Marcus and many more, is not far from Cornelius. And even closer is Northlake Mall off Highway 77 with a wide variety of shopping to choose from.